It's the love month! 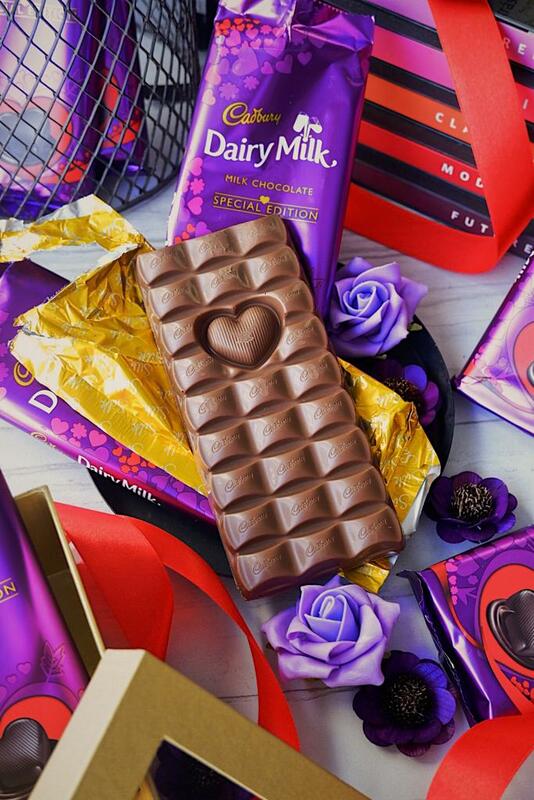 As Cadbury Dairy Milk is set to inspire people to express their feelings with the new limited edition Cadbury Dairy Milk Pop Heart. This limited edition and one-of-a-kind bar contains a chocolate heart which consumers can literally pop out and give to their special someone. It’s a fun take on enjoying a Valentine’s Day chocolate favorite. If you're free on February 13, there will be a free concert at the BGC Iconic Amphitheatre from 6PM onwards. Cadbury Dairy Milk is hosting #CadburyPopYourHeartOut, a wonderful evening of romance and amazing music, featuring December Avenue, Inigo Pascual, and Moira dela Torre. To watch these amazing acts live, you need to simply purchase Cadbury Dairy Milk at the event’s concert grounds. 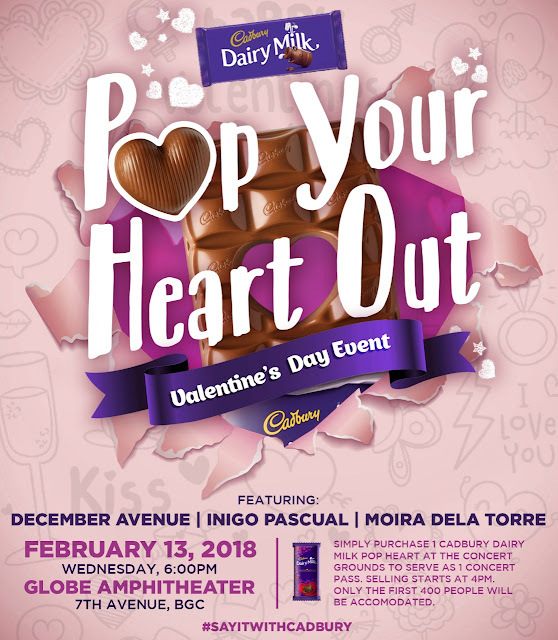 Available at all leading supermarkets and groceries nationwide, the smooth and chocolatey Cadbury Dairy Milk Pop Heart retails at PHP150. Available first in the Philippines in all of Southeast Asia, the packs are exclusively available for the month of February. So express your affections before it’s too late. As a Valentine's Day tradition, express your love for someone, pop your heart out and #SayItWithCadbury.